Join Newton at Home for a tour of the Massachusetts State House The tour will last approximately 30-45 minutes and include an overview of the history and architecture of the State Capitol. Visitors can see the House and Senate Chambers, learn about the Ladybug (our state insect) and of the “Sacred Cod”. 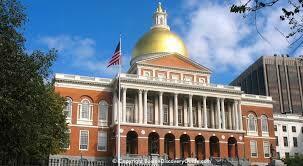 Meet at the Scandinavian Living Center at 10:00 a.m. for bus transportation to and from the State House.